So I haven't hosted a giveaway in awhile because of my busy schedule. Currently, I have been busy working on a few new project for work, managing my business, and preparing for Blog O' Speak event, where I'd also be talking, on the 25th of the month. So many exciting and nerve wracking things happening in my life right now! A few days back, Jord asked me if I would want to host a giveaway for them. Well, they'd be fixing everything and all I need to do is post and blog about it so I said, "why not?!" I do love hosting giveaways. IMO, it's my way of giving back to all my regular readers and to those who have been supporting my blog ever since. I believe my blog has gone a long way. From being a beauty/review blog in Weebly, transitioning to a beauty and fashion blog in Blogger.com, to finally having my own domain and talking more than just beauty products and OOTDs but also of my different personal advocacies. The changes in my blog were all for the better and to be able to deliver a better message to all my current and future readers. I wouldn't want to be just another beauty and fashion blog. I wanted to be that blog that can create a positive impact and influence to the people who would be visiting it. That's why I don't call nor label myself as a beauty/fashion blogger anymore. I am a blogger and my goal is to write and to share my thoughts, ideas, and advocacies to everyone. Anyway, enough of that. Let me tell you more about Jord watches. If you've read my previous post about Jord, you probably know by now that I don't really wear watches until now. I've fallen in love with my Jord watch because it wasn't just a wooden watch that tells time, it also enhances my confidence. You might ask, how... You see, it felt like this specific Jord watch was tailor-fitted to match my style and my personality thus enhancing my look and because I'm not a big watch fan, it surprised me how I don't mind wearing this particular piece! It's so light-weight and aesthetically pleasing that I just don't mind, I guess. That's why I would often rave about Jord watches not just here in my blog but also to my family and friends. Not much people own wood watches and I think it's about time we get the word out don't you think? And so with this giveaway, we will be having THREE WINNERS who will each receive a JORD GIFT CARD ($75, $50, $25 worth of gift cards) which they can use to purchase their own Jord watch. Now isn't that exciting? Below is the Rafflecopter widget so all you need to do is follow the instructions there and you already have a chance to winning one of the three Jord gift cards. 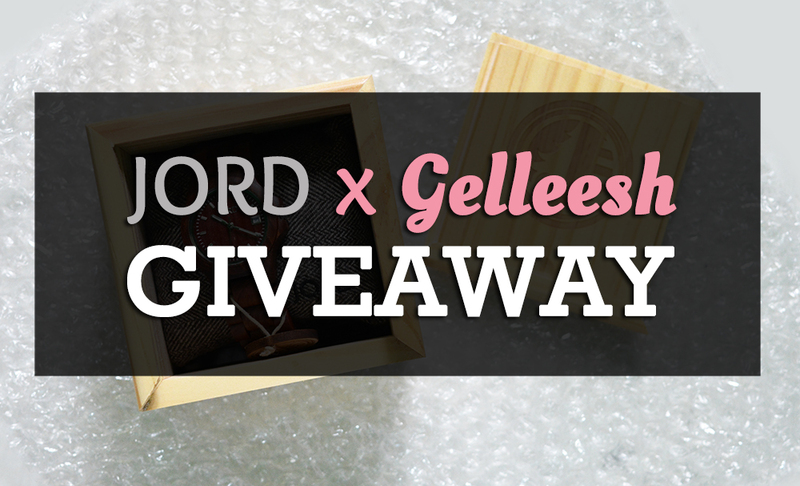 The giveaway will end on July 27, 2015 and is open WORLDWIDE!